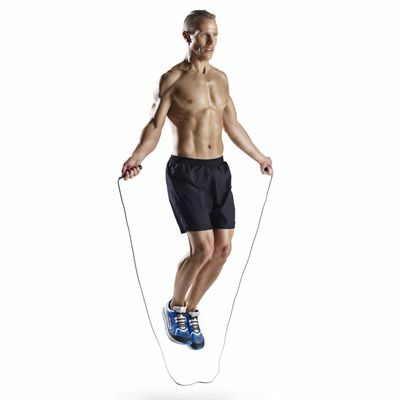 The ProForm Deluxe speed jump rope is suitable for general fitness, boxing, cross training and effective cardio workouts and helps to increase calorie burn and bone density and improve balance, coordination, agility and breathing efficiency. This lightweight and portable fitness accessory is easily adjustable up to 270cm (107'') to fit users of different heights. The rope offers a poly-vinyl cord for enhanced durability, as well as Sure-Grip handles to ensure a firm, yet comfortable hold. 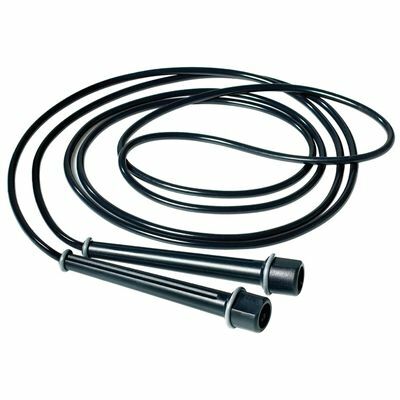 for submitting product information about ProForm Deluxe Speed Jump Rope We aim to answer all questions within 2-3 days. for submitting product information about ProForm Deluxe Speed Jump Rope. We aim to answer all questions within 2-3 days. If you provided your name and email address, we will email you as soon as the answer is published. for submitting product review about ProForm Deluxe Speed Jump Rope.